Cry My Beloved Country started this petition to All the Indigenous citizens of Zimbabwe and international sympathisers and 1 other President Mnangagwa of Zimbabwe promised that his government will start compensating all former white commercial farmers whose farms were taken away from them during the Mugabe era. Mnangagwa' utterances and plans are not popular with us the indigenous people of Zimbabwe.We say no to any form of compensation to former white farmers.Compensating former white farmers is not a priority as of now .The white colonisers killed our fathers and robbed then of their cattle and land during the 1890 and 1900 .They even forced our fathers to work as slaves on those farms and exploited our minerals. We believe we are the victims and deserve compensation for the above cited atrocities and that should pay for the so-called Infrastructural Development on farms. Mnangagwa says he respect the constitution which says white farmers must be compensated but we know for sure that he amended the same constitution when he wanted to appoint the Chief Justice.Let President Mnangagwa's government remove any compensation clause from our constitution and laws. 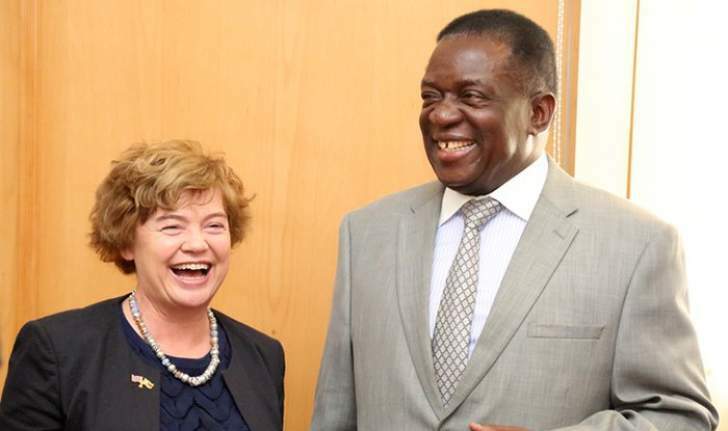 We demand that Mnangagwa must stop using our taxes to compensate former white farmers but rather use the money to pay Gukurahundi victims,August 1 2018 shooting victims, buy medicine and ambulances for our hospital. Sign this petition to tell Mnangagwa and government to stop misusing our taxes by paying any former white farmers as compensation for lost farms.